✔️CONCENTRATED TRANS-RESVERATROL WITH PUREDIA. 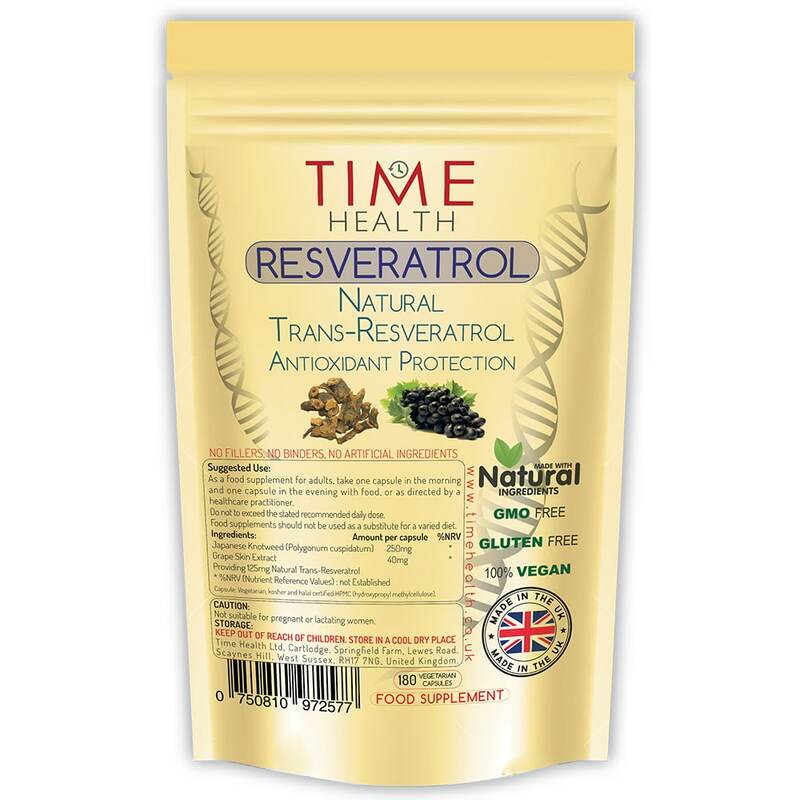 Time Health natural Trans-Resveratrol provides concentrated levels of trans-resveratrol from the natural root of the Japanese knotweed plant in combination with grape skin extract giving a broad spectrum natural trans-resveratrol formula. ✔️PREMIUM QUALITY & HIGHLY BIOAVAILABLE FORMULA, PROMOTING CARDIOVASCULAR PROTECTION. Premium brand of natural trans-resveratrol from Puredia, a world leader in providing some of the highest quality and most bio-available extracts on the market today. 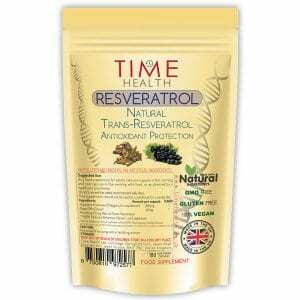 Trans-resveratrol is believed to have anti-ageing properties and help support cardiovascular function. ✔️100% VEGAN WITH NO FILLERS, BINDERS OR ADDITIVES. Our Resveratrol is 100% vegan friendly. At Time Health we believe in clean nutrition which is why you won’t find any nasty stuff in our products including any fillers, binders or additives, unlike some of our competitors. ✔️HIGH QUALITY GMP STANDARDS, UK MADE. Manufactured in the UK to GMP standard with only the finest quality raw materials. Due to our low operating costs, we are able to offer our customers great prices. [IMPORTANT] Most people are not aware that Trans-Resveratrol is rapidly metabolized and eliminated by the body. To get the maximum benefits from Trans-Resveratrol you need to split the dosage so we have taken the recommended daily dosage of 250mg and split this between two 125mg capsules one to be taken in the morning and one in the evening. We now also have our Resveratrol Pro Q10 formula combining Puredia Trans-Resveratrol, Coenzyme Q10, Pterostilbene, Pine Bark, Green Tea & Piperine. 250mg Japanese Knotweed Root, 40mg Grape Skin Extract: Providing 125mg Natural Trans-Resveratrol. As a food supplement for adults, take 2 capsules daily, 1 in the morning and 1 in the evening with food, or as directed by a healthcare practitioner. Do not exceed the stated recommended daily dose.